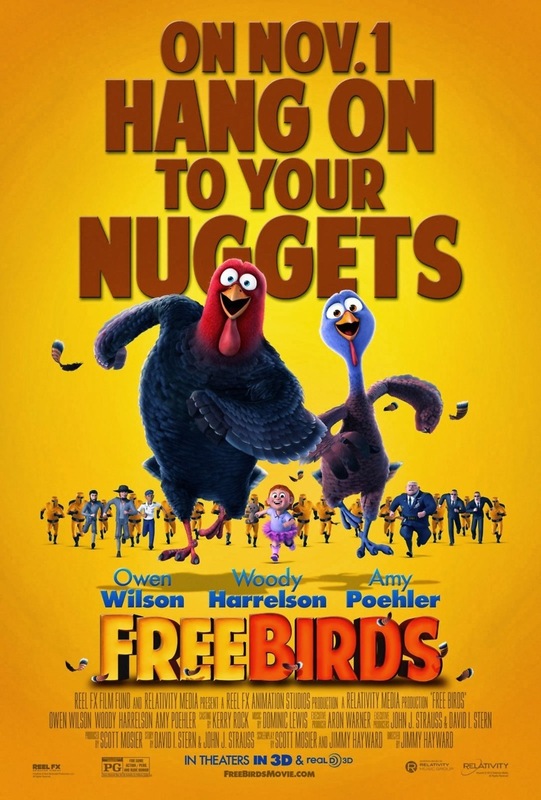 Free Birds DVD and Blu-ray release date was set for February 4, 2014. Reggie is a turkey who has long known of the grim fate that awaits his kind when Thanksgiving draws near. However, his expectations of execution are not met when he is selected as the lucky bird to receive the Presidential pardon. It is during this process that he meets up with Jake, a kooky turkey with a half-baked plan: to go back in time and convince the pilgrims to make something else the official Thanksgiving meal. Amazingly, Reggie and Jake wind up doing just that, but getting to the 1600s is just part of the battle. They still have quite a task in front of them if they are going to stop future generations of turkeys from being slaughtered for the sake of grateful families.